Anne Enke (now Finn Enke )is Associate Professor of Gender and Women's Studies, History, and LGBT Studies at the University of Wisconsin, Madison. 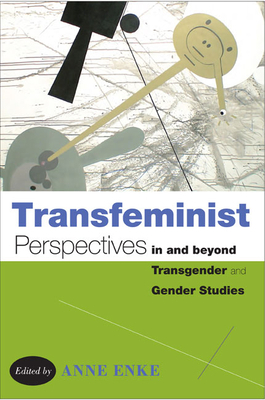 "Transfeminist Perspectives in and beyond Transgender and Gender Studies is a very worthwhile book. Enke is knowledgeable about the field, and frames the issues nicely, explicitly addressing some of the core problems in feminism and women’s studies. This anthology shrewdly demonstrates how transgender studies can do feminist work, and it goes a long way toward furthering that important critical/political task." "Transfeminist Perspectives in and beyond Transgender and Gender Studies, is a smart, well-written, and appealing book. Enke has defined, explained, and situated the concept of ‘transfeminism’ vis-à-vis the study of gender. The book is truly multi-disciplinary and the essays address the challenges that trans students, researchers of transgender subjects, and teachers of trans/feminist theory and activism face. This will be an important book." "Enke’s book is crucial to teaching how gender identity and trans issues have shifted and will continue to push gender studies. There is no other collection on transgender theory and action that has this level of detail and focus on higher education and gender studies-related disciplinary concerns. Transfeminist Perspectives in and beyond Transgender and Gender Studies, examines how institutions as lived contexts shape everyday life and thus the context for thinking, learning and researching trans issues. Enke’s introductory essay is superb, and the collection's interdisciplinary range is comprehensive—it covers key topics in gender studies, and it provides theoretical and experiential critiques of the field of gender studies as well. This is an indispensable volume."